On June 29th, the Supreme Court side 5-4 with Arizona Voters in a landmark Gerrymandering case, paving the way for more voter-based initiatives to improve the elections processes nation wide. Gerrymandering happens when a State legislature chooses to redistrict the state to give their own party an advantage in the next election. It only happens every 10 years because it is based on the census and both Democrats and Republicans have been guilty of it. In 2000, Arizona passed Proposition 106 which took the power to redistrict from the State legislature, delegating it instead to a bipartisan independent commission. 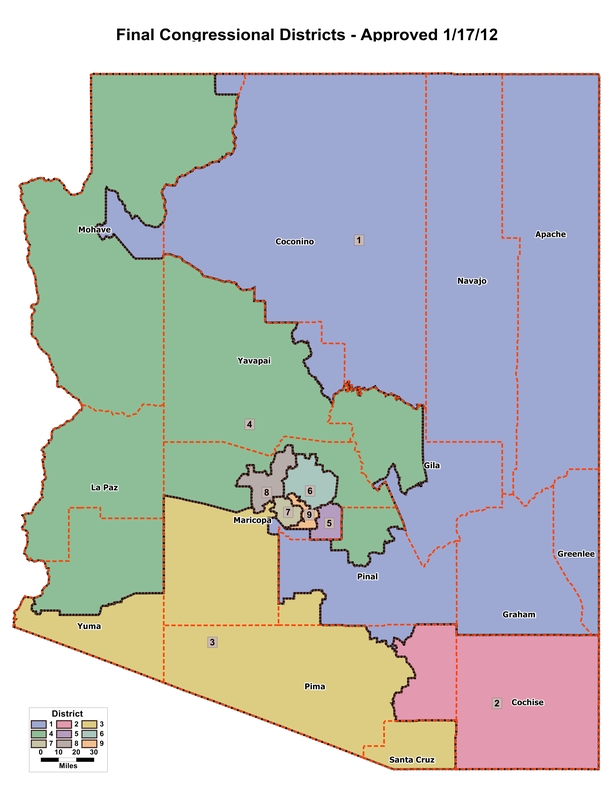 The Arizona Independent Redistricting Commission is comprised of two democrats, two republicans, and one independent. In 2013, after the 2010 census, the Arizona Independent Redistricting Commission, had its first opportunity to redraw Arizona’s districts. Why this Ruling is Important? The legality of the voter based proposition and the Arizona Independent Redistricting Commission was questioned based on the constitution, which affords the power to create election laws and processes to the “legislature” and not to the voters. At the time the constitution was written, there was no avenue for voters to create laws besides convincing their legislative representatives. Today, however, voter based initiatives are a fairly common way for voters to participate in the legislative process. California also has an independent redistricting process which was also created through a voter based initiative. This ruling also places California’s Citizens Redistricting Commission on solid legal ground. Most importantly, the Supreme Court legally recognized voters as a ‘legislature’ or law making body. Primarily because the State’s provided legal ways for voters to sponsor initiatives and create laws. This is a notion that likely never occurred to our founding fathers, but which provides an extremely important additional form of check and balance. Voters have the right to make laws or eliminate them. Voters can create laws which actually act to decrease real voter fraud threats without disenfranchising the poor and elderly. Voters can say ‘no’ to Voter ID laws and ‘yes’ to ending districts without voters.